West Cork BIG SING! takes on a life of it’s own!! 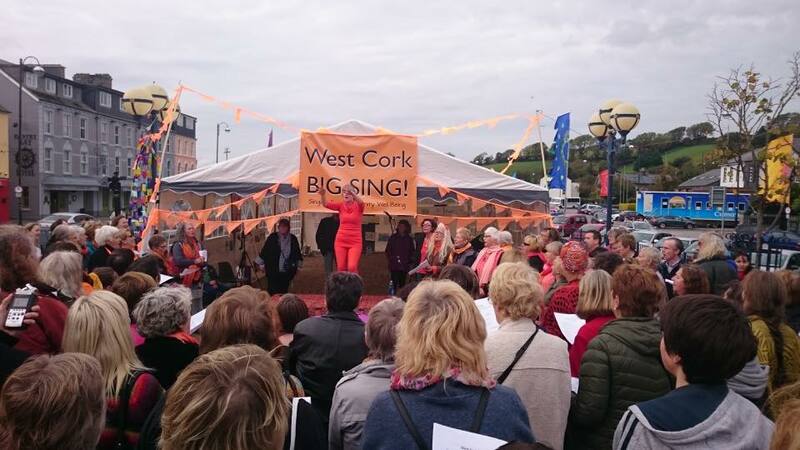 Three local groups have now emerged from the West Cork BIG SING! held on Bantry Square for World Mental Health Day. More groups are hoped to be started in the Spring with the project moving across towards the Clonakilty area. Anyone interested in helping to start up a BIG SING! group in their area should get in touch. A training package is currently being developed to train facilitators in leading the groups. Next > A Right Ol’ Song and Dance!